This list is a work in progress and is updated as we see fit. Interspec, LLC has no financial or personal interest with any of the recommended service professionals listed below. We do however find their work to be superior. Ckick here for Industry Links. Serving Atlantic, Cape May, Cumberland and Salem Counties. Electric Services for South Jersey. Our Favorite in Cape May County! HIGHLY RECOMMENDED. Pest and Termite Control serving Atlantic, Burlington, Camden, Cape May, Cumberland, Gloucester and Salem counties. HIGHLY RECOMMENDED. Locally owned and operated in Atlantic City N.J. Phil Vanwickle has been in the pest control business since 1980! HIGHLY RECOMMENDED. Brad Saveriano of Pro-Active has been serving Atlantic and Cape May County for years. Steve Polsky is an expert in the field of mold treatment and removal. Brad Styer is D.E.P. 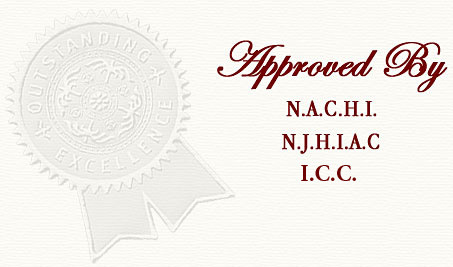 certified and provides GREAT service. HIGHLY RECOMMENDED!